There is no shortage of Star Wars things these days, especially games, and it looks like we’re getting yet another one for Android very soon. 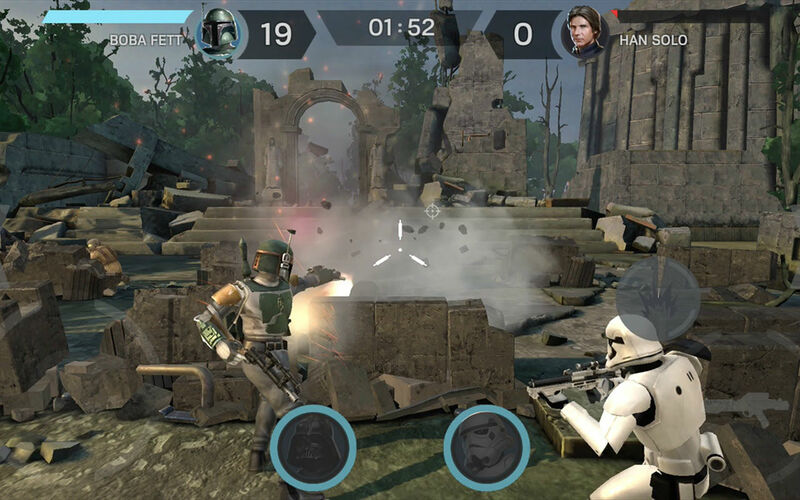 Now up for pre-registration on Google Play, Star Wars: Rivals is a PvP title, all about ducking behind cover, moving to better positions, and blowing away your enemies. The idea behind the game seems to be reimagining and reliving classic Star Wars battles. For example, you’ll experience Darth Vader vs. Luke Skywalker, Jyn Erso against Director Krennic, as well as Finn vs. Captain Phasma. Of course, these legendary characters will have to be unlocked through hours of gameplay most likely, but the gameplay trailer makes it look like a fun grind. As the description goes, players will build combat teams, join guilds, level up weapons and abilities, use faction bonuses, plus more. As soon as this game officially launches, we’ll let you know.